Terrible revelations that Archbishop Theodore McCarrick is said to have serially abused boys as well as seminarians and young priests have shaken our Church to its core. That we find ourselves in this place again is tragic and heart wrenching – for the victims; for their families and friends; for all Catholics; and for our neighbors whom we are called to serve in truth and love. As a bishop I am shaken by these events and humbled by the responsibility I bear to work to change the culture that permitted such abuse to go unchecked. Without such changes, our credibility will continue to erode and we will fail in our duty to witness to the Gospel of Jesus Christ with integrity. The Holy See has accepted Archbishop McCarrick’s resignation from the College of Cardinals and sentenced him to a life of prayer and penance prior to the outcome of a formal adjudication of the allegations. This is a step in helping eliminate the evil of sexual abuse in our Church and in building a culture of accountability and transparency, and I am grateful to the Holy Father for his actions. We must make clear that we will not tolerate criminal and evil behavior, regardless of the rank and standing of the accused. Tragically, similar revelations of abuse in the Church extend beyond those coming to light here in the United States. Soon after accepting the resignation of Archbishop McCarrick, the Holy Father also accepted the resignation of Australian Archbishop Philip Wilson, found guilty by an Australian criminal court for failing to report the sexual abuse of two altar boys to the police. And in May, Pope Francis summoned the Chilean bishops to Rome to call them to account for the widespread cover-up of clerical sexual abuse in their country. 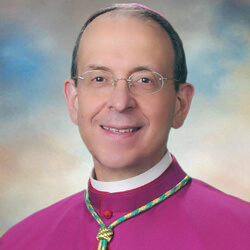 He has since accepted the resignations of five bishops with the full expectation of more to come. I strongly support the Holy Father’s response in these cases and his determination to hold accountable all those who have sexually abused others or failed to report allegations of sexual abuse, regardless of their position or rank in the Church. I applaud his resolve in exercising the right and responsibility of the Holy See to discipline bishops and to hold them to high standards in fulfilling their office. Building on the Holy Father’s efforts to strengthen the accountability of bishops, some bishops in the United States are discussing proposals to do the same. These proposals include measures that can be implemented in each diocese to ensure that victims can easily report allegations of abuse by any member of the Church, including bishops, and can confidently expect that those allegations will get a full and fair hearing. I will contribute actively to those discussions and will fully implement their results in the Archdiocese of Baltimore to best protect those in our local Catholic community and all those we serve. I humbly pray for the victims of sexual abuse and for all who have suffered at the hands of those ministering on behalf of the Church. I pledge my continued diligent oversight of the measures currently in place as well as a renewed commitment to do all I can to build a culture of accountability and transparency so as to ensure the safety of all in our care in this Archdiocese of Baltimore.